For those of you who use Google Weather on your Android phone, there is a small but nice update that has happened behind-the-scenes for the feature. In addition to the hourly temperature forecasts, you also now get a wind and precipitation forecast in the information card. If you aren’t familiar with what I’m referring to as Google Weather, it is something that is found on phones by simply doing a search for weather on your phone. When you do that, your phone will pull up the local weather information in an applet that launches in Google Search. While there is nothing to install, you can have the applet store your weather information for other cities too. put a shortcut on your Home screen to get to it more quickly. While it is not a full featured weather app (it doesn’t, for example, have a radar image), it is very handy and quick to use when you want to see what the day has in store weather wise. 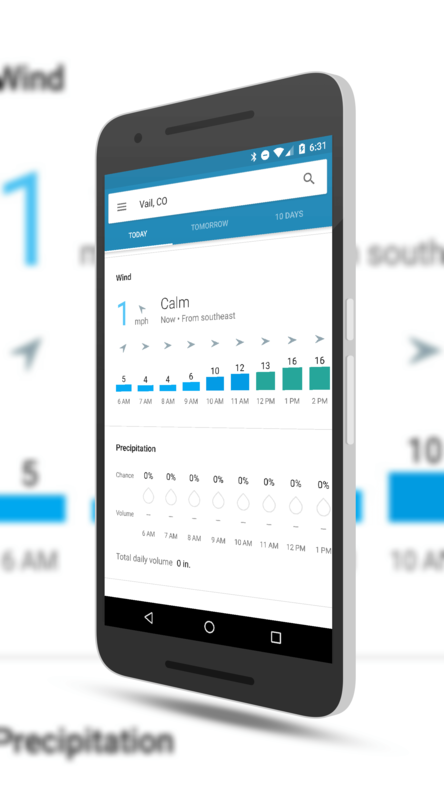 Hourly wind and rain forecasts are nothing new for other weather apps so this addition to Google Weather is, very much, a catch-up addition. There is nothing you as a user have to do. The next time you search for weather you should be able to scroll down and see the new wind and rain hourly forecasts.